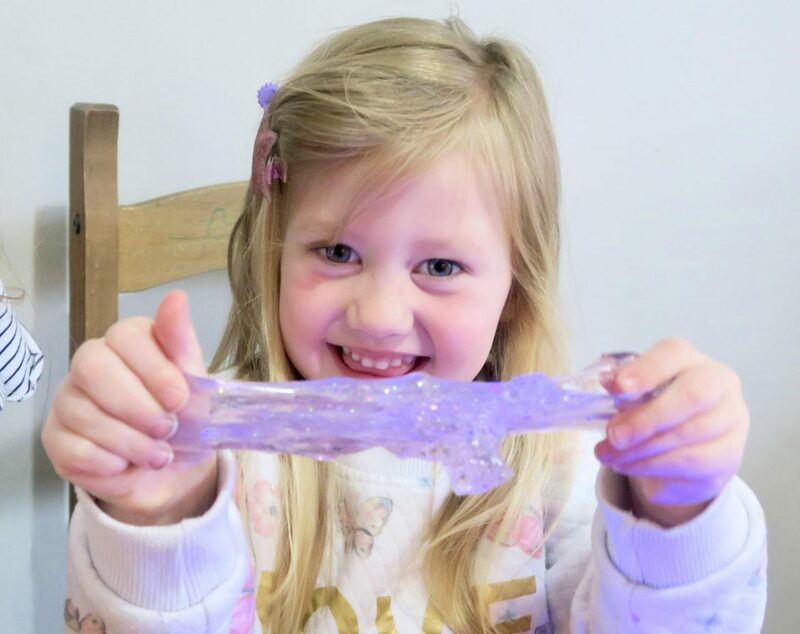 I know it’s not just my girls that are obsessed with slime at the moment, it seems to be a new craze taking over all of children kind. When ever we spot it in a shop the kids go mad for it. 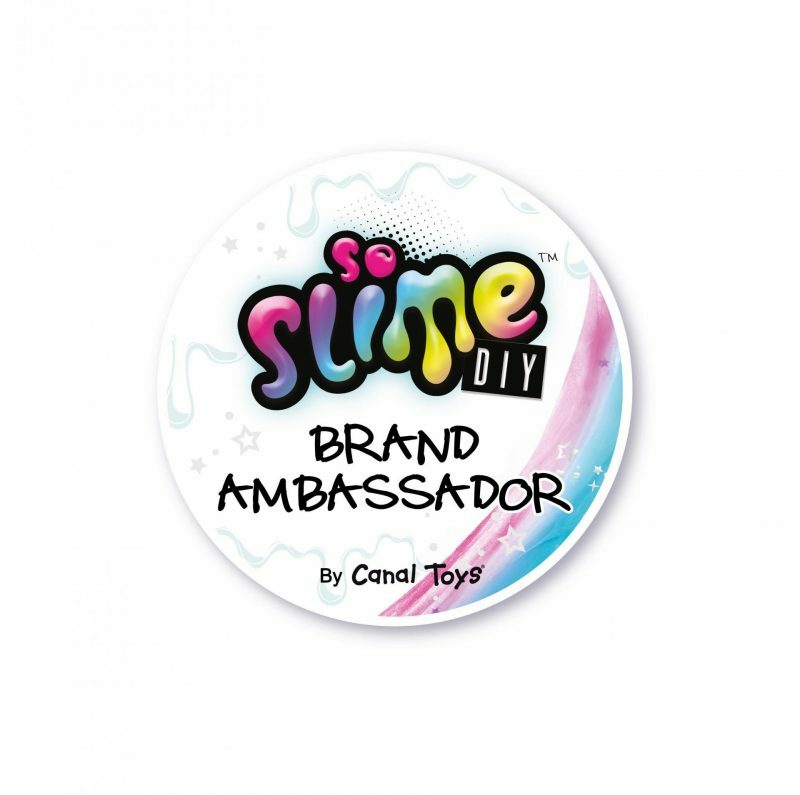 So when Canal Toys got in touch and asked me if I’d like to test out their SO Slime DIY kit I knew it would be a huge hit. We have had ago at making it from scratch before, lets just say it didn’t go quite to plan. Having everything you need in the kit was just ideal and it was far more simpler to make than I had ever thought. 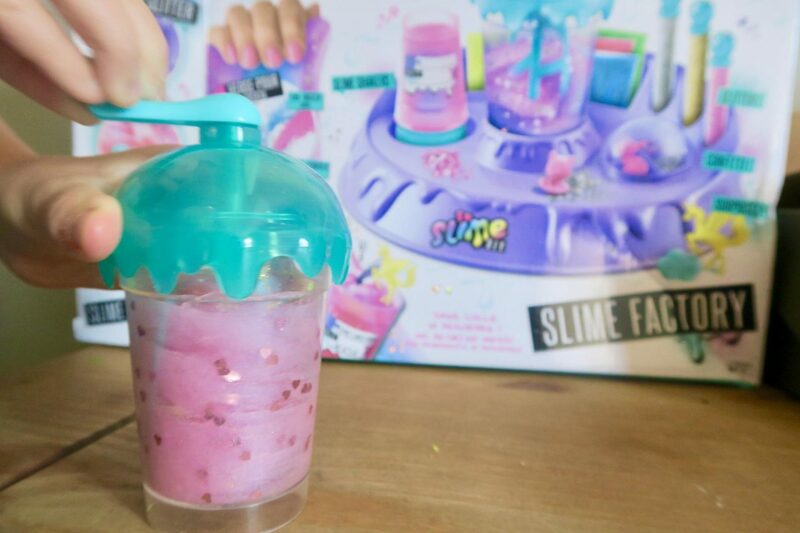 The So Slime DIY kit comes with a really handy desk tidy to keep all the bits organised. I loved that, as it’s a kit they an use again and again to create slimes of all different colours. Also included in the kit are the pots to keep your slime in, glitter, confetti, different colour slimes and even some little surprise characters to hide inside. It really allowed the children to get creative and make the slime special just for them. 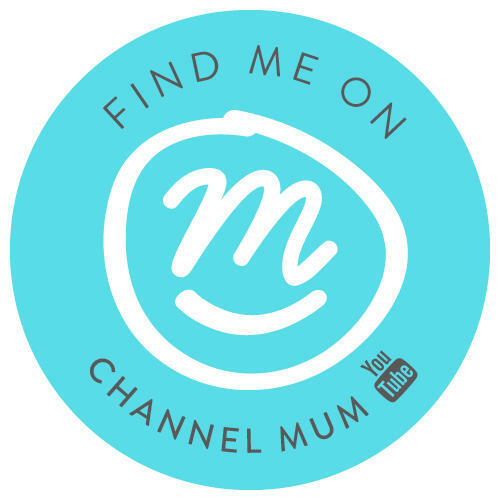 Of course Maisy opted for a pretty pink with lots of glitter and confetti piece in! Creating the slime itself is so easy. You simply add some water to the powder and mix mix mix. You do need to keep at it for a good 5 minutes to achieve the right consistency and then leave it to stand for a few minutes, which to my children was like torture. The air tight containers mean your slime will last for ages! The girls were super proud to have made their own slime and have been playing with it non stop ever since. 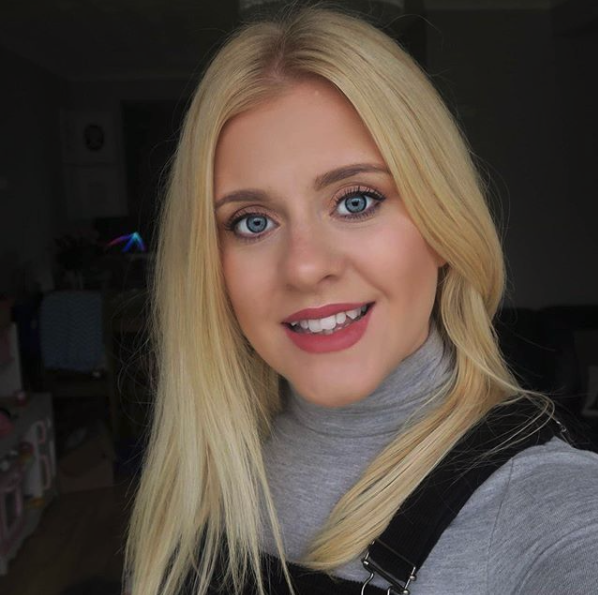 One top tip when using this kit would be to go easy on the glitter, a little goes a really long way and if you go over glitter your slime as my darling daughter did it will end up everywhere! 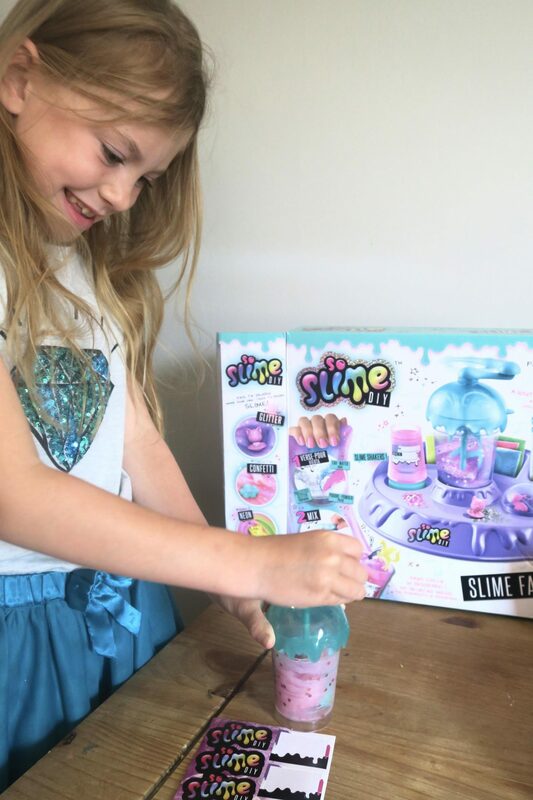 I’d definitely recommend the So Slime DIY kit it’ll make for the perfectactivity to pull out during the summer holidays! 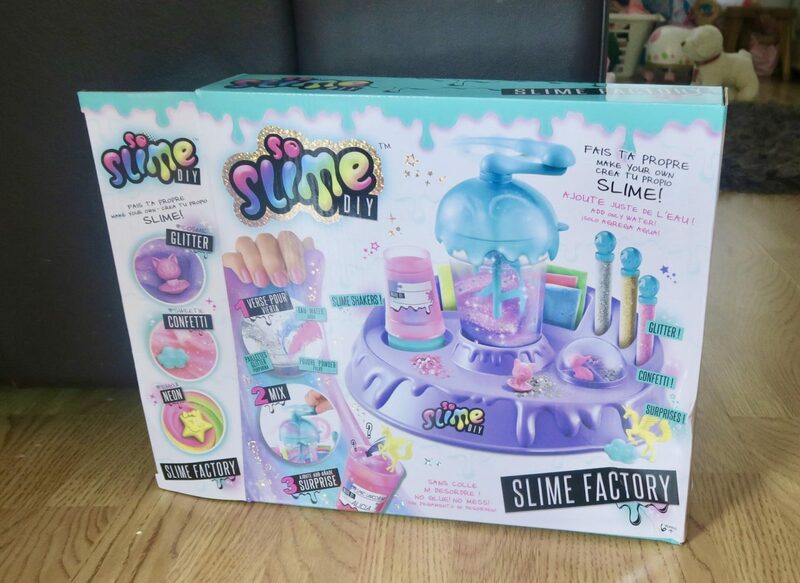 So Slime DIY RRP’s at £19.99 and can be found online here.